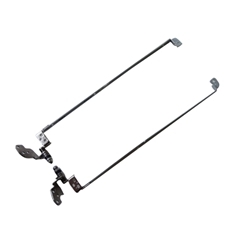 Description: New genuine Acer lcd hinge and bracket set. Includes right and left. Part #'s: 33.N2802.004, AM06R000900, KAWF0-LCD-HINGE-SNR-L, AM06R000A00, KAWF0-LCD-HINGE-SNR-R.